The Art Of... Family Volunteering | The Art Of | Kids VT - small people, big ideas! When I was growing up in upstate New York, my parents dragged me along to various volunteer activities, from serving pies at the local rescue squad's annual fundraiser to handing out blankets at a shelter after a flood hit our small town. I never really had a choice in the matter and I wasn't always an enthusiastic participant. It sometimes made me feel uncomfortable and took away from time with my friends. Now that I'm older and wiser (read: over 40), I can say without cringing that my parents were right. The experiences they exposed me to helped foster my compassion and desire to help others as an adult. My 5-year-old daughter, Ruby, is wonderfully caring and sweet with her friends. However, she hasn't yet figured out how to turn her toy-sharing tendencies into contributing to the greater world. But Henry, my 9-year-old, has recently exhibited an interest in giving back to others. This past summer, he and a gaggle of neighborhood kids ran a lemonade stand to raise money for the Chittenden Emergency Food Shelf and the Humane Society of Chittenden County. They made more than 80 dollars to support those organizations. Who knew selling really watered-down lemonade could be so lucrative? I wanted to keep that lemonade-stand momentum going, so I decided to find another place where my family could volunteer. A quick Google search for "volunteering opportunities in Vermont" yields an abundance of results. The challenge is finding a place where kids and adults can volunteer together. Some organizations have a minimum age requirement for participating. Enter the Ronald McDonald House of Burlington. The beautiful brick "house that love built" (upon seeing it, my kids called it a mansion) has been operating at 16 South Winooski Avenue since 1984. Before visiting, I didn't know much about it, except that it helped families of sick children. My daughter knew even less, and wondered if there would be Happy Meals available. After some online research and correspondence with volunteer and guest relations coordinator Deanna Cameron, I learned that the Ronald McDonald House offers families a place to stay while their children receive necessary hospital treatment. It's one of more than 350 similar facilities around the world run by Ronald McDonald House Charities, a nonprofit that counts McDonald's as its largest corporate partner. Guest rooms and common areas are stocked with amenities that families would normally find in their own homes — from a basket of toiletries in the bathroom to bookshelves filled with board games. Volunteers prepare dinner every night and baked goods every day so families can focus on their child's care. 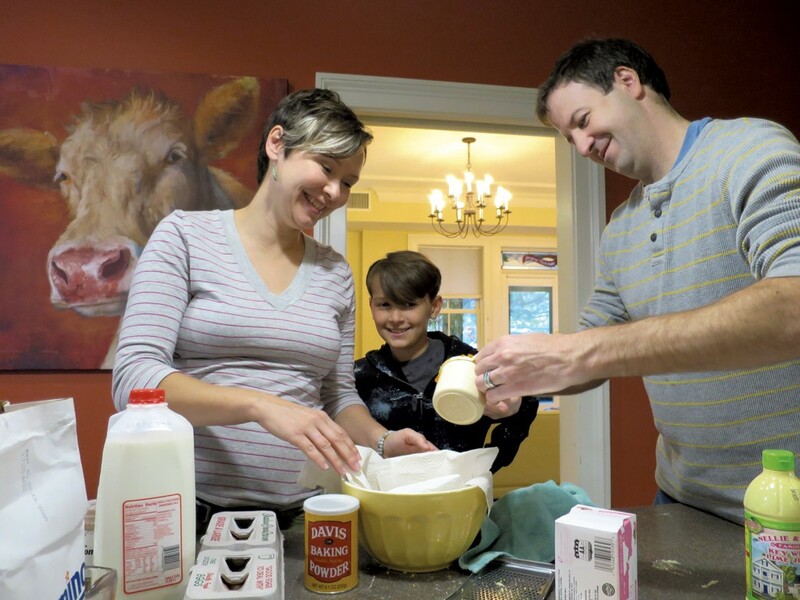 We are a family that loves to cook, so baking yummy treats sounded right up our alley. Cameron encouraged us to bake whatever we wished in the large, fully equipped kitchen. Since we needed to prepare enough dessert for 15 people, we decided to make cookies, a pie and a sweet quick bread. With full grocery bags and recipes in hand, the four of us drove downtown. Upon ringing the doorbell, we were cheerfully greeted by Lizzie, another volunteer, who was working to answer phones and run the front office. Most guests were either sleeping or at the hospital visiting their children, and the space felt quiet and peaceful. We got to work measuring flour and mixing eggs and sugar. I was excited to see my children participating enthusiastically. But within 10 minutes, Ruby, usually my most eager helper said, "I'm bored; can I go into the playroom?" I replied with a curt, "No, we are here to help, not play." I made eye contact with my husband, who was working to melt butter with Henry. We both rolled our eyes. What did we get ourselves into? Nevertheless, we forged ahead. As the brown butter pumpkin oatmeal cookies came out of the oven, I moderated my expectations. I became less militant about making sure my kids were actively baking and noticed we all had a lot more fun with this change of perspective. As a child, I didn't fully appreciate the values of empathy and compassion overnight. How could I expect my children to from just one volunteer session? I'm hopeful that, going forward, our family can continue to work with a local organization like Ronald McDonald House, and that this ongoing participation will inspire Henry and Ruby to volunteer as they grow up. Who knows, maybe they'll even acknowledge their mother was right before they turn 40. 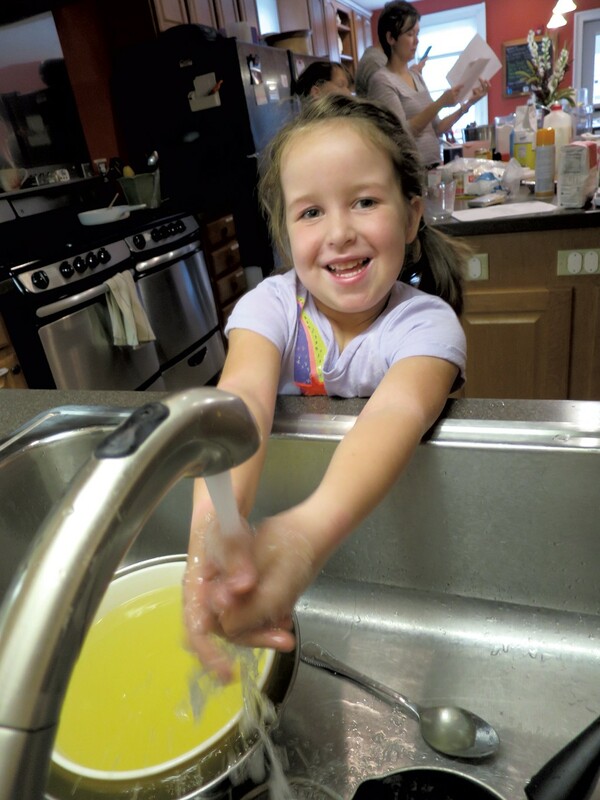 Looking to volunteer with your family at Ronald McDonald House? In addition to baking or cooking in their kitchen, families — with additional training — can serve as weekend relief volunteers, spending a Friday or Saturday night covering the house. RMH is also currently recruiting volunteers to assist with their Jingle Bell Express round-trip train ride from Burlington to Charlotte on November 25 and 26. A great option for families with teenage kids, volunteers help with various tasks, including taking tickets, serving on the train as car elves and helping with crowd control. Visit rmhcvt.org for more information. For more family volunteer opportunities, visit your local United Way website and click on the "Get Involved" tab. You can filter your search to include just family-friendly opportunities. 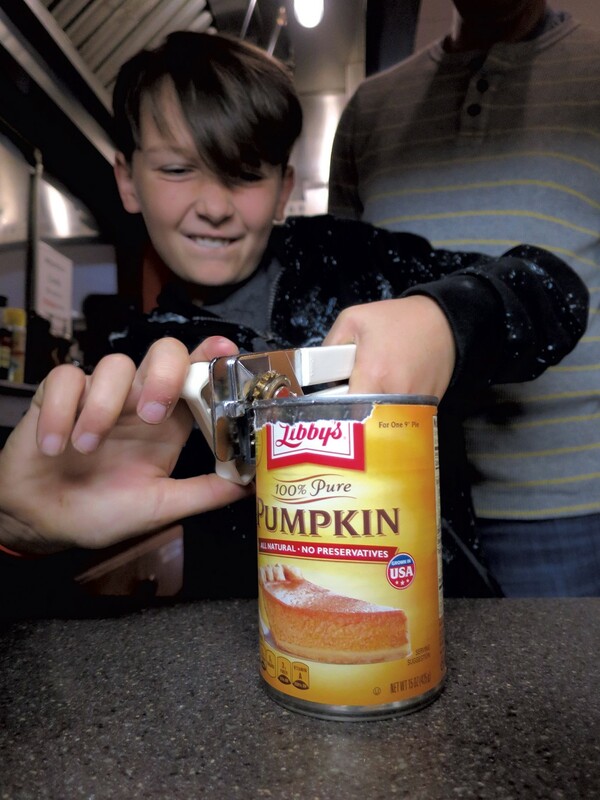 Last November, we wrote about 20 ways families can give back during this time of year.